Et oui c'est bien Emilie de My Little Fashion Diary que j'ai eu le plaisir et l'honneur de rencontrer sur Montpellier, malheureusement comme je l'ai dis précédemment nous n'avons pas eu beaucoup de temps pour prendre des photos mais en tout cas ce fut un réel plaisir ( qui est de très bon conseil d'ailleurs ) ! J'ai pris en photo ma tenue séparément car je l'aime beaucoup, certes elle est noir et blanc mais je veux faire des débuts prudents dans la "chicisation" de ma garde robe. Je porte le haut et le collier que j'ai posté précédemment avec une nouvelle jupe dont j'adore le détail de satin sur les côtés. Yes, it's indeed Emilie from My Little Fashion Diary I had the pleasure and honor to meet in Montpellier, sadly as I mentionned previously we didn't get enough time to shoot photos so I did mine on my own with the help of my brother. We talk a lot about fashion and she is a good adviser ! As I said before I'm pretty much inspired by Olivia those late days and I'm trying to give my wardrobe a "chic" touch but I opted for a black and white outfit with color touch to be concious ! As you can see I wore all the thing I posted in my last post and a little black skirt with a nice satin details on the sides. PS : I'm sorry for the ugly scenery / background, Je m'excuse du décor, c'est vrai que ce n'est pas très glam ! quelle belle rencontre et quel style les miss ! j'adore le collier coloré! ca devait être bien sympa! Vous êtes ravissantes toutes les deux !! i'm a new follower and already in love with your blog. you look great..love your necklace! vraiment beau! Moi, j'adore la derniere photo er tes accssoires! Love the pics, you both look beautiful! Ohh your necklace is amazing! Joli les photos ! J'espere que ce fut une belle rencontre et un beau moment ! Black and white with some color is just amazing! I love Emilie, she's such a sweet girl! 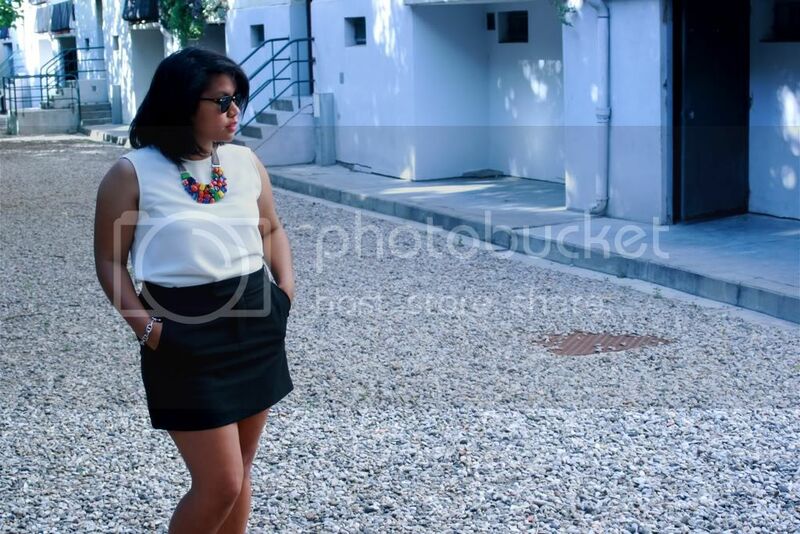 your black and white outfit with colorful necklace look fantastic!! love your outfit. you guys looked cute! 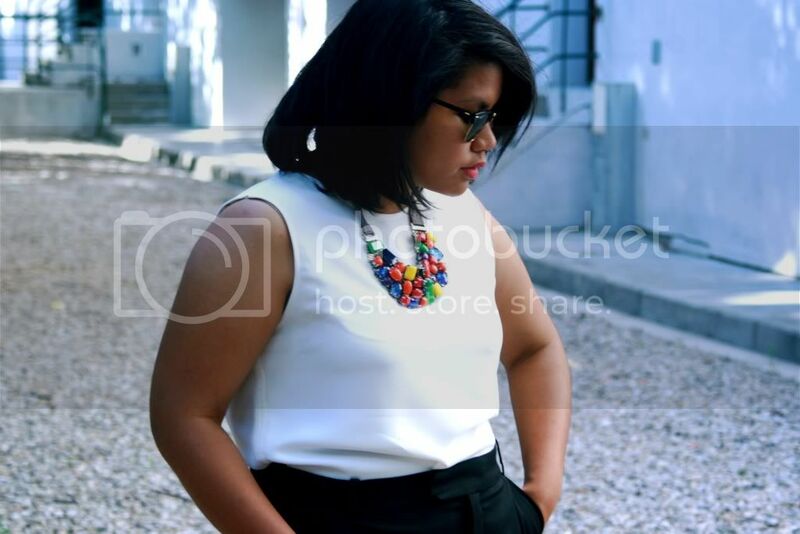 Very nice black and white outfit, love the the touch of color in necklace. You both look great!!! It's always nice to meet other fellow bloggers one of the best thinks about blogging!!! Very chic! Your necklace is super pretty! You look mighty chic! I adore that little pop of color that your necklace gives! Cette jupe te vas bien! Ca fait très classe! I LOVE the splash of color against the black and white, so pretty! both of you look fantastic! i love your necklace! Thanks for the comment baby! It's so nice to meet bloggers! Love both outfits, especially the pink skirt and the colorful necklace! You're both really nice!I love your necklace!It gives a touch of colour!Great look! That's so cool you got to meet up with her!! I follow her blog as well. Also thanks so much for the advice for my Euro Trip I'm so excited even though it's a yr away but I just want to make sure I make the most of it! PS: you look so adorable I like the simple & classic look w/ the pop of "candy" color! Know it is really hot in Germany. But It was so cold. Simple but oh so stylish! I really love your sandals. Thanks for comment in my blog! wowwwwww! i have your necklace, is really nice and you combined it so well! What a chic pair! Thanks for your comment- lets definitely follow each other! Following you now! beautiful necklace!the colors are just so eye-popping! Ton collier est magnifique ! 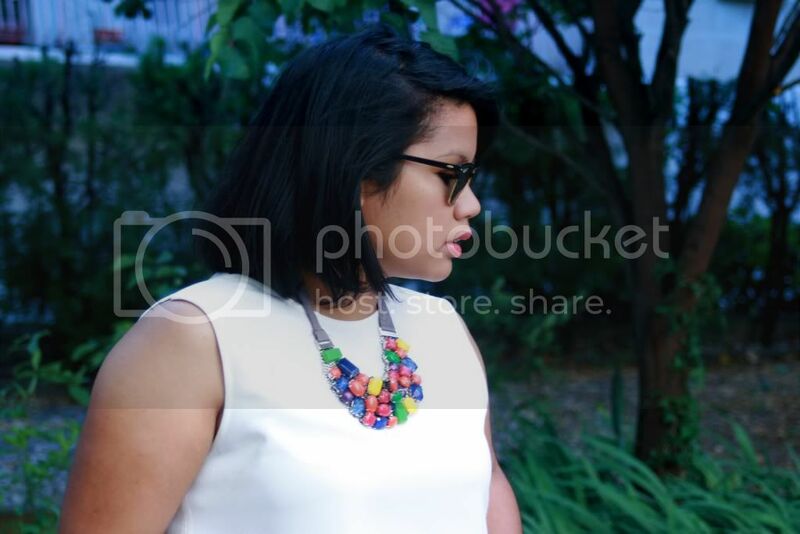 woww, good combination of the colourfull necklace with the outfittt!!! I love the outfit! It's great! I was wondering if you could vote for me? Its for an elle magazine contest. It only takes 5 seconds :D ! Go to the Nokia facebook page and then press gallery and view by date. When you see ‘The Black Maze’ with my picture just press 'i like' and you've voted! So nice that you guys met up! Love your outfit! lovely outfit!! I love the necklace! thanks so much for stopping by my blog! i am your newest follower babe!! hope to see you stop by again and maybe follow hehe! 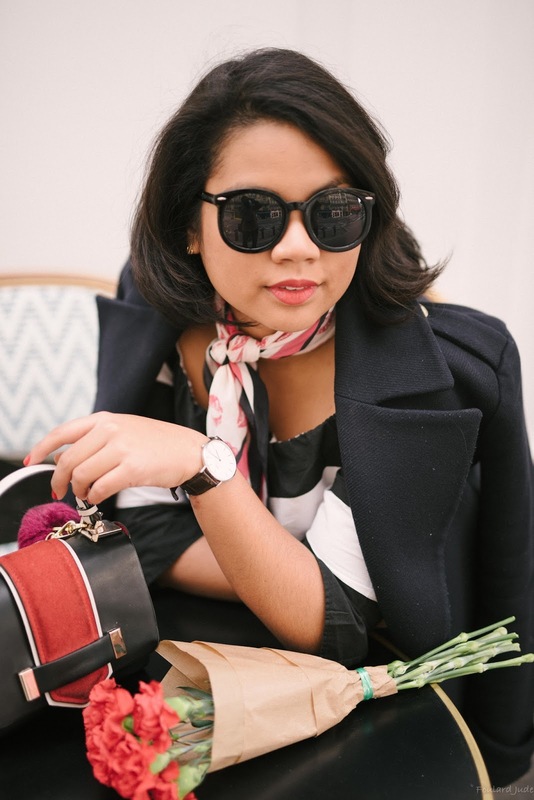 you are such a cutie and your blog is very inspirational! What a neat necklace! Looks like a bunch of gumballs! WOW! You look perfect, i love black and white mixing together! Sympa ces rencontres entre blogueuses ! How was it meeting another blogger? Looks like it was fun..
J'adore le collier colloré ! i love your colorful necklace! the background is not ugly at all! Cute and you look nice girl! I'm loving the black and white combination with a pop of color! NOUVELLE RUBRIQUE VIDE DRESSING !!! Great look! Love the outfit very much and you look great in it! You look amazing! I love your make-up. Oh and you know about combining a statement necklace. So good you've paired this gorgeous necklace with something sleek. how cool is it to meet fellow bloggers? i met one of my blog friends Chelsea in Melbourne when I went there for a long weekend once. Amazing how without blogging you'd never ever be able to meet such amazing people!